Accra: Bishimiye ingendo za Rwandair muri Ghana. Abajya no kuva muri Ghana bishimiye ko Rwandair yatangiye ingendo zayo muri icyo gihugu. Ibi ngo bizoroshya ingendo, ubucuruzi n'ubutwererane ku bihugu byombi. According to an interview of John Mirenge published on Buisness Week, by May 2013, RwandAir will start three new routes to Accra (Ghana), Juba (South Sudan) and Zanzibar (Tanzania). Cape Town (South Africa), Harare (Zimbabwe) will be opened later this year. These destinations are in the pipeline, for some month or even for some years. Accra is the capital of Ghana and during thelast dedicade, Ghana recorded a dramatic growth mainly due to the start of the Oil production, to its politcal stabilty, but also "due to the civil war" in Ivory Coast. Ghana is became an alternative "hub", and its now one of largest economy in West Africa. Despite some majors troubles, Zimbabwe's economy is coming back to the green, several airlines has resumed or launched flights to Zimbabwe, last year, among them Emirates, KLM and Egyptair. Juba is the capital of the world's youngest state, more and more traders from Rwanda, East Africa, Asia and Middle East go to invest in South Sudan, mainly in the Oil or Agriculture sectors. Zanzibar is a major tourist destination in the region, while Cape Town is the second largest city in South Africa. Beyond pure point-to-point traffic and our hub development in Kigali, we’re also looking at 5th freedom opportunities,” explained van der Stege. 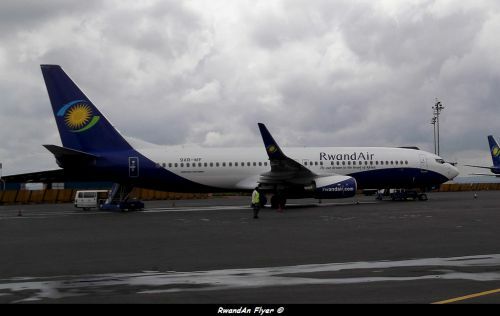 In an exclusive interview with The HUB, van der Stege explained that RwandAir was considering 5th freedom routes for two main reasons in that they provide positive growth with only limited additional costs (revenue versus costs per seat are very attractive) and because they fit well into the business model of a small national airline like RwandAir. The fifth freedoom opportunities will enable RwandAir to sell tickets between two destinations on "a triangular service". Accra could be served via Lagos and RwandAir will sell tickets between Accra and Lagos, on a Kigali-Lagos-Accra-Kigali service, per example. About the B737-700, John Mirenge has said, that the will mainly used on Johannesburg, Dubai and Nairobi routes and has also added that he is confident, that RwandAir will break even in 2015.